Bluestone Irregular Oversized Walkway and Patio Stone are larger pieces of bluestone - then tend to be thicker than our Bluestone Horizontal Irregular Pallets. These are 2 - 3" thick pieces that are sometimes used to bear heavier loads. The c color varies by pallet but can include earth tone accents on any piece. 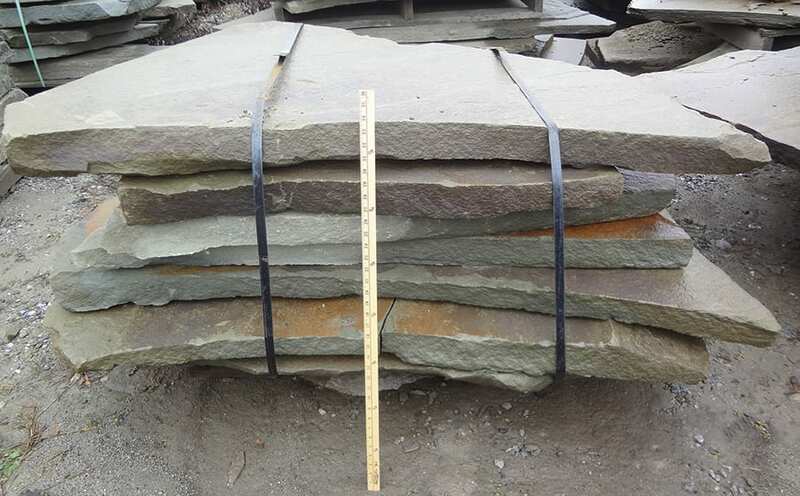 This stone can also be used to make stone steps. 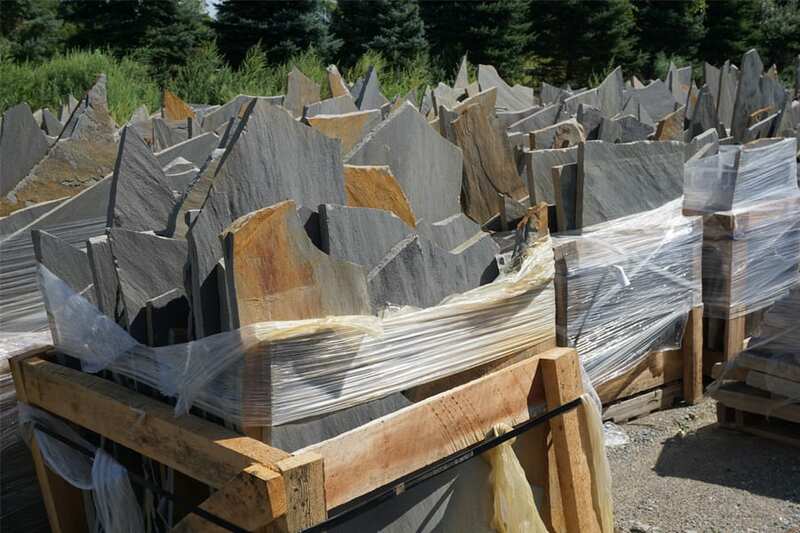 The rise will only be 2-3", not the standard 6" of of our Natural Stone Steps, but the Bluestone Irregular Oversized Walkway and Patio Stone pieces are easier to work with than 6" steps. Bluestone Irregular Oversized Walkway and Patio Stone - Horizontal Pallet. Can be either full range (off color) color or blue-blue. These are large pieces of stone and take 2 or more people to handle. Available in full range color (also called off color) which includes earth tones and blue-blue which is bluish gray. Call for details - coverage of each pallet can differ significantly. Basically mini slabs of bluestone. 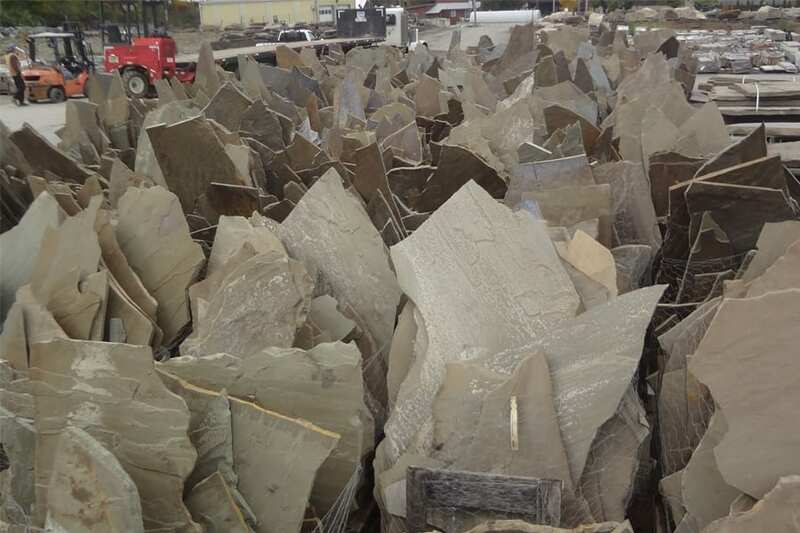 Not the size of our large slabs which can be 4+ feet wide and 8+ feet long, but these can still be significant pieces of stone that may require a machine to move and set. Thick enough that they could be used as stairs. Beautiful color variations and choices, If you can handle, move, and set this stone the finished product will not disappoint. Wicki Stone carries these products that match or compliment Bluestone Oversize Irregular walkway and patio stone.